Get your hands on some tickets here. Keynote Speaker: Bruce Pascoe, Indigenous writer – We’re excited to have Bruce Pascoe joining us to set the scene for our event, with his insights into traditional farming practices in the region by local indigenous communities. Bruce is an Indigenous writer of Yuin, Bunurong & Tasmanian heritage. His book Dark Emu Black Seeds: Agriculture or Accident? was awarded the NSW Premier’s ‘Book of the Year’ in 2016. Cafresco Organics Farm, Koo Wee Rup – Maurie & Maria Cafra and Brian Edwards will share insights about their successful transition to organic certification and how they target local markets and support other local growers and enterprises. Buckley Park Community Farm, Fish Creek – Hear from Juneen Schultz about this blossoming local community farm and vegie box enterprise based in the Fish Creek community, and what is possible in the future. Prom Coast Food Co-op – Get the low-down on this exciting new local co-op in Southern Gippsland straight from the source. Hear from co-founders Amelia Bright, Sally Ruljancich & Bronwyn Davis – representing Amber Creek Farm & Sawmill (Fish Creek), Colin & Sally’s Organic Lamb & Beef (Dollar) & Fish Creek respectively. Mirboo Farm, Meeniyan Garlic Festival and Meeniyan Store – Kirsten Jones and family tell us about their passion and involvement in the local food system, sharing challenges, successes and how they make it all work! Bass Coast Landcare Network – Joel Geoghegan presents on Landcare’s work supporting new and existing growers and community food projects in the Bass Coast region. 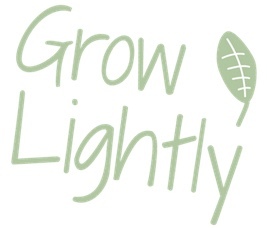 Grow Lightly Food Hub and local grower profile, Korumburra – The Grow Lightly team talk about their role in the distribution of fresh, clean, local produce and grower Ray Fallu shares what it’s like to be a small grower supplying the Food Hub. Bass River Dairies & Bassine Specialty Cheeses, Bass – Learn how Glen Bisognin and Kaye Courtney manage a successful dairy farm producing its own milk, cream and cheese, as well as a popular on-farm cafe store. Phillip Island Community Orchard (PICO), Phillip Island – Adrian James gives us an overview of the thriving community orchard and garden and insights into what makes this initiative a success. Wattlebank Park Farm and Farm Education Centre, Wattlebank – Nadine Verboon talks about accessing local markets and the evolution of the education centre on the farm. Oak and Swan Sourdough, Mardan – Betsy Evans shares her inspirational story as a small local producer and her experiences selling locally. Kilmorack Farm (pastured eggs), Ranceby – Jo McLeay talks about her commitment to producing pastured, organic eggs and her passion for regenerative farming, and gives perspectives on free range egg farming across the Southern Gippsland region. Golden Creek Olives, Fish Creek – Lyn Jamieson, olive oil grower and producer, talks about how they have successfully reached local markets, and the benefits of collaboration through the Southern Gippsland Olives partnership. Should be an amazing day!